Ideally we could live in a nation where people are judged by their character rather than the color of their skin, but this quote has unfairly come to define Martin Luther King, Jr.’s legacy without the larger context of it and has often been misused to declare that “race doesn’t matter.” A recent polls shows that the majority of Americans believe “King’s dream” has been achieved, essentially stating that race no longer matters. After the election of President Barack Obama, conservatives immediately declared that racism was officially over and we achieved King’s dream; while at the same time many conservatives questioned Obama’s birth certificate and whether he was truly an American worthy of holding the presidency, as if those questions had nothing to do with race. King dreamed of race no longer mattering and led protests that contributed to the passing of Civil Rights laws, and Americans voted for a black president, but neither of those mean that race no longer matters. Ask the family and friends of the innocent black man in Mississippi who was beaten, run over, and killed by white teenagers looking for a thrill, and then bragged about it afterwards, if race no longer matters. You don’t even need to ask the black man’s family — just ask the white kids responsible for the racist murder if race no longer matters. That’s one violent and gruesome incident, but statistics also point to blacks getting less pay for the same amount of education, companies preferring to hire whites over blacks, blacks receiving stricter punishments for crimes, racial profiling, the differences in education, and people subconsciously react different to different races. Race matters! That does not mean we are racist and hate another race, but it means we need to recognize how race plays a factor in everyone’s lives and how we are conditioned to think of other races. Only when people realize how race affects them on a daily basis will we be able to start overcoming the problems of race. The “color-blind” approach does not work because it overlooks and denies the existence of racial problems that exist in society. If we realize that race matters — to everyone — we can begin dismantling the social construction of race and overcoming it, but as long as we pretend that we do not care about race, we are simply preserving the existing racial structure. Somehow this madness must cease. We must stop now. I speak as a child of God and brother to the suffering poor of Vietnam. leaders of my own nation. The great initiative in this war is ours. The initiative to stop it must be ours. King’s criticism of the U.S.’s growing involvement in Vietnam is generally known, but usually not considered to be part of his larger philosophy, which significantly limits King’s beliefs to a strictly American national approach instead of recognizing the struggle for rights as a transnational one. It is a transnational criticism of the war in Vietnam because King points out that poor Americans are paying for a war that has absolutely nothing to do with them, and the only thing that it is accomplishing is destroying the lives of people in Vietnam. The war in Vietnam harmed both the people in the United States and Vietnam, and therefore King understood the negative implications of the U.S.’s neo-colonialist Cold War foreign policy in a truly global approach. In addition, King — like Malcolm X — spoke out against the war in Vietnam before the large counterculture movement emerged and also reprimanded the war. Like King’s criticism of the war in Vietnam, he realized that the U.S.’s excessive military spending (“the military industrial complex”) came at the expense of spending on social programs. While the U.S. continued to build up its military to threaten and dominate foreign markets, it increasingly reduced its funding of social programs that would have benefited the American people. The money spent on the military would benefit those who were heavily invested in the weapons industry as well as the wealthy capitalist class who could exploit the people and resources of foreign nations that had a neo-colonial regime forced upon them, meanwhile average Americans gained little to nothing from the military buildup, and often young Americans died for the benefit of the elite. animal life around them. 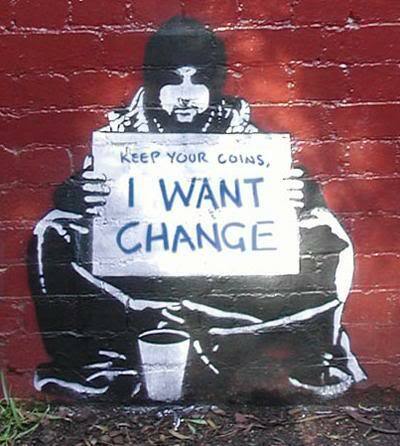 The time has come for us to civilize ourselves by the total, direct and immediate abolition of poverty. irrelevant social club without moral or spiritual authority. This is a particularly interesting quote when considering the current political scene of the U.S. King, of course, was a reverend and a very religious man, but he — like America’s “founding fathers” — knew religion’s place in society and knew where it did not belong. The church should not rule the state; it should not have any power over the state or the political process. Instead, the purpose of the church is to provide morality to the people, and he believed a moral people would make better citizens and therefore a better state. Meanwhile, the so-called Tea Party candidates intend to use the church as a tool and interpret laws based on their religion. If a man hasn’t discovered something that he will die for, he isn’t fit to live. King, Malcolm X, and 2Pac all dedicated their life and careers toward something they would die for: freedom and progress; and each anticipated their own death, but did not let it stop them from promoting their messages. While many people try to place Malcolm X and Martin Luther King, Jr. at the opposite ends of the spectrum during the Civil Rights Movement, if one compares their messages in the last years of their lives, he or she will find they have much more in common than is often believed. Neither one was willing to accept the status quo; Martin Luther King, Jr. was not a conformist who would settle with just desegregation, nor was Malcolm X an anti-white racist who wanted total segregation. They both desired a world where the rich would not exploit the poor, where the powerful nations would not colonize the underdeveloped nations, where the oppressor would not hold down the oppressed, where the military would not receive preference over the people, etc. If we are to remember Martin Luther King, Jr., let us remember him for who he truly was and what he truly believed, and not what for some Americans want to pretend he stood for. He did not believe in American exceptionalism, that desegregation was the solution to America’s problems, or that Christianity should rule the government. 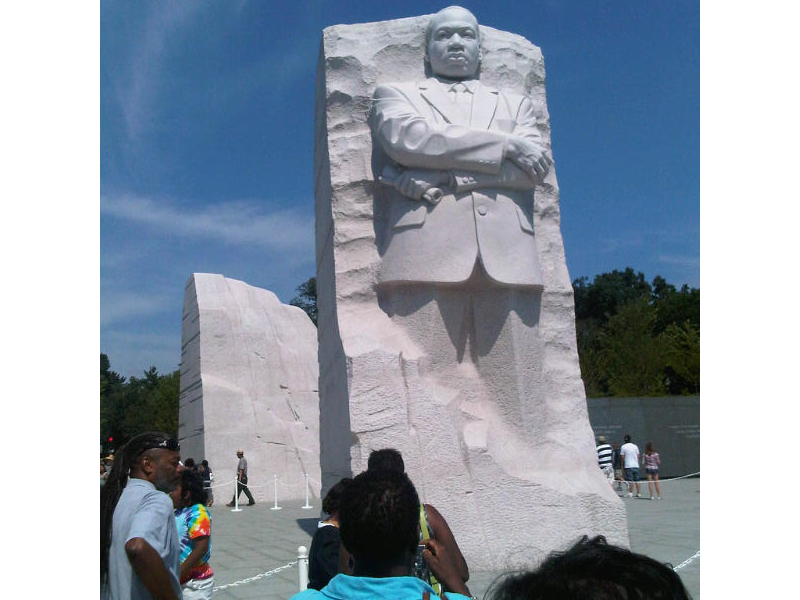 This entry was posted in Culture, History, politics, Race, U.S. and tagged civil rights, Martin Luther King, MLK, MLK Memorial, MLK Monument, politics, race, racism.